Which Texas RadioShack store locations are closing in 2015 and in which Texas cities will the RadioShack closings be happening? How many Texas RadioShack electronics stores will close in Houston, Dallas, Austin, San Antonio, and in total? What are the addresses and closing sales dates of RadioShack in the state of Texas? striking a significant blow to the Texas retail economy, Texas commercial real estate market, and Texas retail unemployment numbers. Since RadioShack has its roots and its retail company headquarters located in Texas, this is not surprising. At least 143 RadioShack retail stores located in Texas will be closing in 2015. 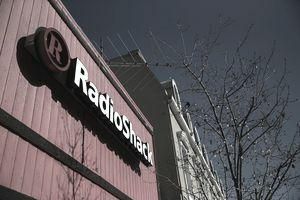 Only two other states will see more RadioShack retail store closings in 2015 - California with 191 RadioShack store closings and New York with 144 RadioShack store closings. The total number of Florida RadioShack store closings will also be significant, with 117 going out of business sales currently happening. Below is a complete list of Texas RadioShack store closing locations planned for 2015, including the shopping center and mall locations where the RadioShack store are currently located and store closing addresses. Going out of business sales have already begun in these Florida RadioShack brick-and-mortar retail locations, and the final sales dates have not been specified by RadioShack yet. It is also worth noting that RadioShack is just one of the largest U.S. retail chains that are closing a substantial number of retail store locations in the state of Texas in 2015. Which Radio Shack Store California City Locations Are Closing in 2015? Which 2015 Radio Shack Store Locations Are Closing in New York Cities?